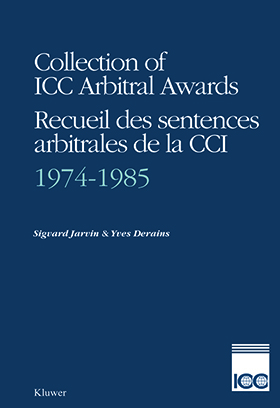 This first volume of the Collection of ICC Arbitral Awards contains the awards that have already been published between 1974 and 1985 in the Yearbook Commercial Arbitration, the Journal du Droit International (Clunet) and also in the International Construction Law Review. In this volume (1974-1985), certain awards are produced both in English and French. Chronological Index of ICC Awards.